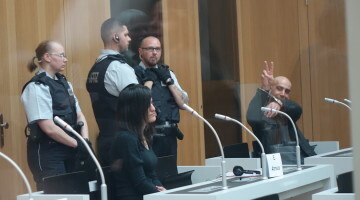 "We, as activists in Strasbourg, would like to say: resistance makes a person beautiful and beautifies the woman. Leyla Güven leads this resistance like women in Rojava, especially the YPJ, lead the resistance, and women in prison." 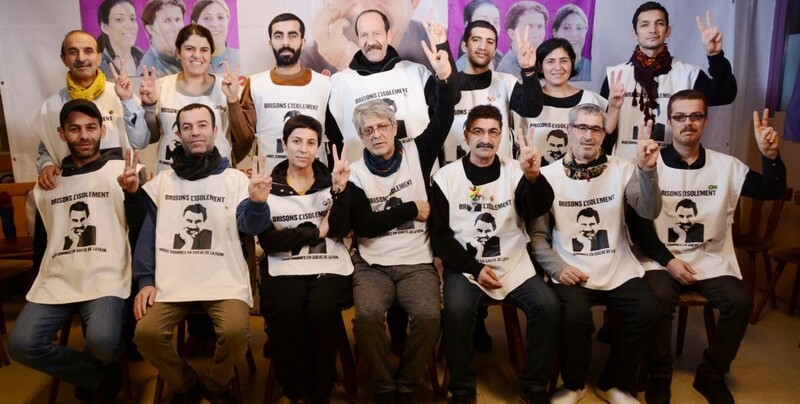 The 14 Kurdish members of the Freedom for Öcalan Initiative on hunger strike in Strasbourg issued a call to women to mark 8 March and wished 2019 to be the year of freedom. 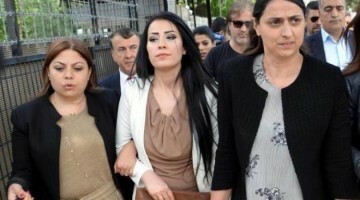 In the call the 14 Kurdish activists on hunger strike underlined the role of the Kurdish women in the Freedom Movement and said that the resistance should be revived. 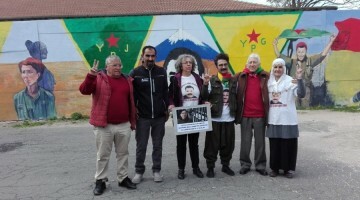 On behalf of the 14 hunger strikers, Nurgül Başaran, Gülistan Ike, Yüksel Koç and TJK-E (Kurdish Women’s Movement in Europe) member Şükran Sincar spoke. First of all, I salute women who resist and demand freedom on 8 March. We, as Kurdish women, meet the 8 March 2019 with resistance. 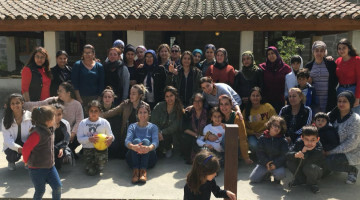 The resistance action, which was initiated to break the isolation on the leader Abdullah Öcalan, is taking place under the leadership of women. Leyla friend, the comrades in the prisons, and the activists in Strasbourg, raised this resistance. However, it is not limited to this. In the north of Syria, for example, there is a great resistance, struggle against the enemy of humanity, DAESH. At the highest level women are engaged in the struggle. On 8 March this resistance is a victory. Resisting Kurdish women will share the news of victory with all humanity. This is a great victory. Kurdish, Arab women and all peoples destroyed the male-dominated mentality that had lasted for thousands of years. Of course we know that this mentality continues; so our resistance continues. Under the leadership of women, our resistance to male-dominated mentality, war and killing continues. 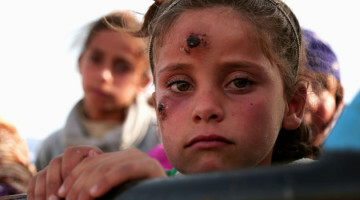 This March 8 will change the situation in Kurdistan and the world. As is known, March is not only the beginning of spring but also the beginning of the New Year. 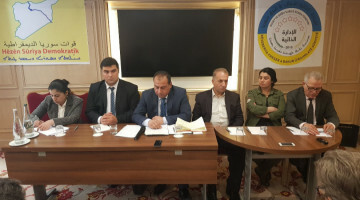 This year, the resistance to break the isolation carried out in South Kurdistan, North Kurdistan, Rojava, Rojhilat and all over the world must be strengthened. It is important for women to succeed in the move towards breaking isolation. On 21 March, Newroz, we believe that this resistance will be crowned with victory. AKP-Erdoğan fascists are most afraid of women. For this reason, fascism will be defeated by women raising their voice everywhere. The mentality behind this isolation is the enemy of women. It is the enemy of children and society. Therefore, resistance against isolation is led by women. It's a historic resistance. I would like to greet all women with this spirit of resistance led by Leyla Güven and I would like to reiterate that March 8 is not just a day for celebration. 8 March is the day of struggle. Let's not forget the slogan: Jin Jiyan Azadi [Life, Woman, Freedom]. As is known, woman’s history is full of price to pay. Five thousand-year-old male-dominated culture is today a system, and has reached the most of women's exploitation. 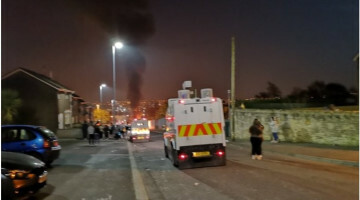 8 March is an action against this attack. In this sense, our resistance that spread all over the world has the following meaning: is an action against the male-dominated mentality. 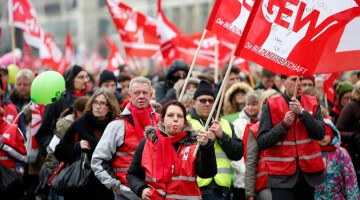 We, as activists in Strasbourg, would like to say: resistance makes a person beautiful and beautifies the woman. Leyla Güven leads this resistance like women in Rojava, especially the YPJ, lead the resistance, and women in prison. 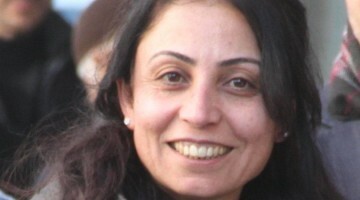 We celebrate 8 March of all Kurdish and world women remembering the path Sara [Sakine Cansiz] showed us. We celebrate the 8 March of Kurdish and world women who are resisting and wish them success. On 8 March 2019, the resistance of the Kurdish woman meets life again. The resistance of 125 women who were massacred in the United States for their work is now reaching a new stage with the Kurdish women, in Rojava, in prison and in Europe. It's at a special stage. 8 March 2019 will be the day of freedom not only for women but for all humankind. For this, all women must bring the resistance back to life and turn this moment into a time of freedom for the entire people. I congratulate the women who resisted on behalf of the 14 hunger strikers in Strasbourg. 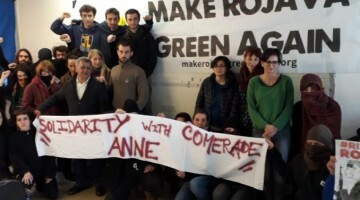 We commend comrade Sara (Sakine Cansız), Rojbin (Fidan Doğan) and the martyrs who lead this movement. If the Freedom Movement and the Kurdistan Revolution have reached this stage today, this is thanks to the struggle of women who resisted both the enemy and the dominance of the man. A historic resistance took place. 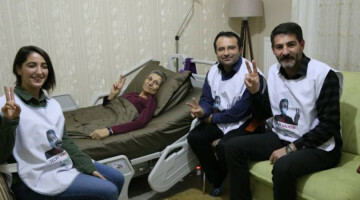 Leyla Guven leads the hunger strike resistance demanding the end of isolation against Rêber (Leader) Apo. The KCDK-E call all councils and components; In the spirit of heval Sara and heavy Rojbin, let's celebrate the 8 March everywhere.